NTS Chicago, formerly Trace Laboratories, has over 30 years of experience meeting customers’ needs and providing in-depth troubleshooting and design assistance across commercial, automotive, aerospace and military industries. 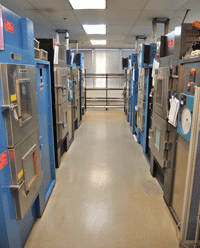 We have recently completed moving from our Palatine facility to our newly constructed 40,000 square foot facility in Mt. Prospect, Illinois. Click here to view the time lapse video of the construction of our new EMI/EMC, reverberation chamber and more. NTS Chicago can perform a myriad of tests on materials, subsystems and final products. Our location now includes full EMI capabilities and blowing sand and dust to complement our vibration, thermal shock and cycling, temperature humidity, acceleration, corrosion, altitude and HALT/HASS testing. Plus, we can easily handle both standard and custom test designs. What sets us apart from our competition? Our clients say it all: NTS Chicago tops the list in quoting responsiveness, personal service and technical expertise. For straightforward quotes, our turnaround target is one working day. 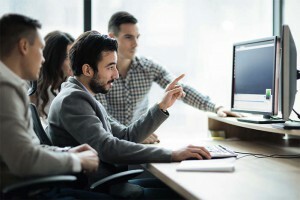 If you have technical questions or need help designing a test plan, you’ll work directly with our technical experts so we can better serve you in product validation. Chemical Exposure Testing: From determining everything from the porosity to the purity of materials, chemical testing provides you with the compositional information you need to ensure your products are compliant. Electrical and Environmental Testing: For products to meet electrical compliance, as well as live up to the challenging conditions they will face once in use, both electrical and environmental testing procedures are a must. Mechanical Testing and Mechanical Shock: The application of specific physical forces under strictly measured test conditions can reveal a great deal about a product’s strengths and weaknesses. For companies that manufacture trusted goods, mechanical and shock testing are integral steps in the development of high performance products. HALT/HASS: Accelerated life and stress testing help determine weak spots and defects across a product’s lifecycle, but they do so at a highly accelerated rate. In this manner, changes and improvements can be made to avoid costly errors and failures, even during early design and manufacturing stages. Dynamics,Climatic, Electrical, Ingress Protection Testing: In various applications, materials and products are expected to endure climatic, dynamic, electrical and ingress forces. Whether it is determining the resistance of a product to shock and drops or the ability of a seam to withstand ingress from water and/or dust, we can run the precise test you need. MIL STD UV and Blowing Sand/Dust: Our accelerated weather and blowing debris testing can quickly demonstrate the effects of long term exposure to the elements, as well as sunlight and sand or dust. Especially for military contractors that produce rugged equipment, these tests are extremely useful. Environmental Stress Screening: ESS — or Environmental Stress Screening — uses thermal and vibration forces to identify failures and weaknesses in products, so manufacturers can better avoid costly reworks and recalls. Expertise in Engineering Non-Standard Test Procedures: With more than five decades of experience providing tailor-made testing services to our clients, our in-house knowledge is vast. We have the capability to engineer almost any non-standard test in order to deliver the results you need to make data-driven decisions regarding the development of your product. 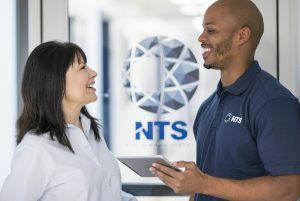 During more than three decades of experience partnering with clients, NTS Chicago has provided, and continues to deliver, notable gains in product compliance, reliability and durability through seamless communication and program management. With the addition of a full suite of EMC capabilities, we are now your single-source solution for qualification for EMC and environmental simulation requirements covering military, avionics, automotive, off-road automotive and aerospace. For electromagnetic interference and electromagnetic compatibility testing services, turn to NTS. We serve all types of industries, including heavy machinery (farm/tractor) and industrial components, automotive systems and subsystems, consumer electronics, medical devices, aerospace and energy. NTS Chicago employs state-of-the-art equipment to facilitate vibration profiles, including random, sinusoidal and mechanical shock. Working with systems capable of up to 25,000 force pounds, NTS can test products with heavy payloads and aggressive profiles; performing numerous tests to ASTM, GM, IEC, ISTA, MIL-STD-202, MIL-STD-810, RTCA-DO-160 and customized profiles to simulate and accelerate real-world conditions. Our dynamics lab capabilities can conduct impact, free-fall drop and transit/transportation testing. Testing can also be performed while controlling temperature, whether it is steady state or thermal cycling. In addition to testing, our team of engineers offers turnkey solutions, including field-data replication, fixture design, fixture characterization, resonance detection, transmissibility and dampening functions. And to be absolutely sure your every need is covered, NTS offers quick, on-site modifications via our internal machine/tool shop — staffed with experts who are familiar with Solidworks, ProE and CAD software. For more on NTS Chicago’s specifications, tests and capabilities, click here to download the fact sheet. Or Request a Quote to begin your next successful project with us!